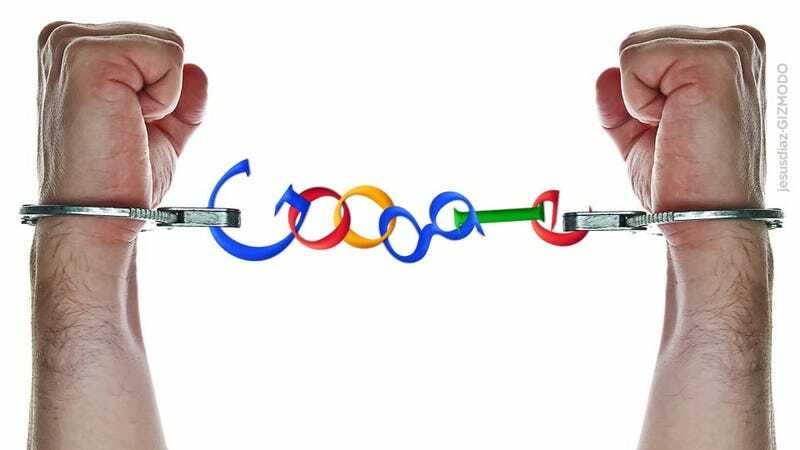 How Will Sharing My Data Google-Wide Affect Me? One of the chief gripes about the change is that Google will "track" you across all of its services. Just to clarify: Google has always stored user data. Have you noticed how in Google Maps sometimes an address you searched for a year ago will auto-fill in? Well, now one Google application can see what you searched for in another, so if you searched for "Furbies" on Google's homepage (for some freaky reason) and then later went to YouTube, you might see Furbies videos pop up. That's new. Previously data was compartmentalized between applications. We can provide reminders that you're going to be late for a meeting based on your location, your calendar and an understanding of what the traffic is like that day. That actually sounds kind of awesome and not at all unlike what Apple's Siri can do, except across a broader range of services. And you can't turn it off. Will This Make Targeted Ads Too Targeted? There is a lot of talk of how now ads will be super targeted to you. For a long time Google's ads have been "personalized" (blech!) to you by pulling data out of your searches. The concern is that now it will be pulling from this larger, more unified, more personal shared data pool. It will, it's true, and personally, I don't like it. But there is one very important thing to note: you can turn it off! It's super easy to turn personalized ads off. I did and it felt great. Just click this link to go to your Ads Preferences Manager, click "Opt Out" under "Ads in Search and Gmail", and then again under "Ads on the Web". That's it, you're done. Whether Google should make something like that opt-in is another argument that's well worth having, but for now: go switch off targeted ads if you feel creepy about what shows up in your Gmail headers. We don't sell your personal information, nor do we share it externally without your permission except in very limited circumstances like a valid court order. If you want more specifics, read up on it here. Is Google Search Way Too Personal Now? Our Mat Honan didn't like Google's new "Search Plus Your World" feature, which places Google+ search results (when there are some) above regular search results. I agree. After using it for a while I found it to be more annoying than useful. Fortunately, under Google's new Terms of Service, you can still turn it off. You have two options for deactivating Search Plus Your World. If you sometimes want those results and sometimes don't, head to the top right of the search window. There, you can toggle between "Show personal results" by clicking the person icon or "Hide personal results" by clicking the world icon. You can toggle back and forth at will. Or, if you know you hate them and don't ever want to see them or think about them again, click the gear icon in the top right of the window, click Search Settings, then scroll down to Personal Results, and click "Do not show personal results." Hit Save, and they're forever banished. What's the Impact on Android? Back up everything important that's on your phone, and then do a factory data reset. This will wipe all of your data, accounts, settings, and apps off of the phone. Then when you go through the guided setup and it asks you for you Google account, simply skip it. You can still use the mail client for whatever email you want. Still use the calendar app. For apps, you can download the Amazon App Store (or others). You should also probably go into Settings>Location services and uncheck Google's location service and Location & Google Search. You can even set the browser's default search engine to something other than Google if you want. Google Wallet will remain under a separate Terms of Service and will not be affected by any of this. So it's cool, the fake money in your fake wallet is safe. Is This Worth Abandoning Google Over? We have given you a guide of alternatives to Google services should you want to abandon ship entirely. There are certainly reasons to be concerned about keeping all of your eggs in one basket. It means there's a single point of failure, which makes me nervous. The fact that you can't opt-out of shared search data, and that Google will know more about you than your wife? That's a little creepy. At the same time, it's extremely convenient to have all of your eggs in one basket—you always know exactly where they are. Plus Google's services place nicely together in a number of time-saving, uber-handy ways. Weighing convenience against security-risks is your decision to make. I personally don't see the new Terms of Service have having added any additional risk to the equation. Your YouTube and Gmail accounts had the same password before, and they still will. Personally, I was willing to risk it before, and I'll probably continue to do so. But make up your own mind. Read the new Terms of Service yourself. Compare it with the old Terms of Service. Compare it with the Terms of Service of other companies offering similar products. It's up to you to make an informed decision. Time to use the old think-bucket.